Have you ever asked yourself which support and resistance levels are the most valuable when analysing Forex, CFDs, and commodities charts amongst others? Not all support and resistance (S&R) levels have the same value in all situations. 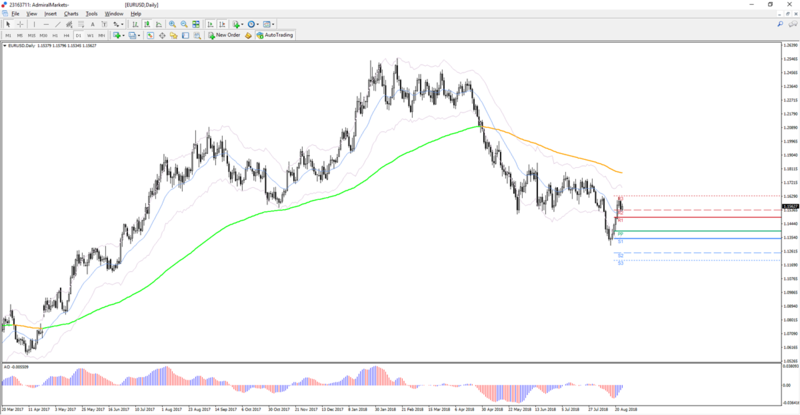 Some zones are critical for breakouts, whereas others play a key role in reversals. Today's article explains which S&R levels are the best, most reliable, and easiest to use in different scenarios. What is the Main Purpose of Support and Resistance? What Types of S&R Levels Exist? Fixed levels are S&R zones which are not changed. They remain valid at the same level, unless the price breaks through it. Examples of fixed levels include: tops and bottoms, round levels, yearly highs & lows, candle highs & lows, and candle opens & closes. All of these levels do not change, they remain the same no matter how the price moves. A round level of 1.10 will remain 1.10, and will not change to 1.1050. Do keep in mind that all S&R levels are rough zones, and not precise. Even though the round level of 1.10 will not change, its effect is not only noticeable at 1.10. In fact, the price can already reverse and bounce around, near to 1.10, at points such as 1.0975 and 1.1025. Dynamic levels are S&R zones that change. Each time a new candle, bar, or any other unit of price arrives on the chart, the S&R level is recalculated, and a trader will use the new level for their decisions, and not the previous one. Examples of dynamic S&R levels are: moving averages, the parabolic, the Admiral Keltner Channel, and the Ichimoku. Semi-dynamics S&R levels are in between fixed and dynamic levels. Whereas dynamic levels change at different rates, and fixed levels remain constant, semi-dynamic S&R levels change at a constant rate. A perfect example of a semi-dynamic S&R level is the trend line, which changes at a fixed rate per candle. If it is placed with an up or down angle, the trend line will move at the same rate into that direction, with each new candle. 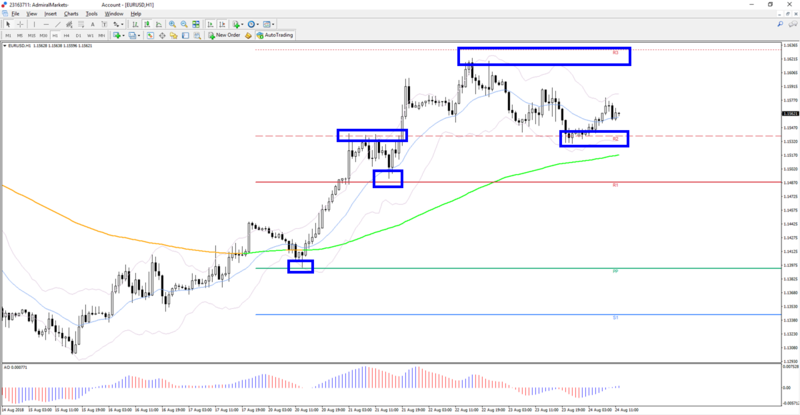 Other examples include Fibonacci levels (which can be moved by the trader) and Pivot Points (re-calculated automatically depending on the period). The main difference between dynamic and semi-dynamic levels is the fact that semi-dynamic levels only change at a fixed rate per candle, whereas dynamic levels change at a non-fixed (flexible) rate. Depending on the method used, the S&R levels can either be automated, or drawn manually on the chart. The Fibonacci retracement tool needs to be drawn manually on the chart by the trader, whereas a moving average is calculated automatically by the MT4 or MT5 platform once it has been added to the chart. What is the Best Way of Using S&R Levels? The best method is to use S&R levels on multiple time frames for different purposes. Although traders can use as many time frames as they want, the best approach is usually to work with three charts. More than three time frames often becomes confusing, and less than three charts provides less depth and insight. Let's divide the three time frames into higher, middle, and lower time frames, because the three time frames that are used do mainly depend on what type of trader you are. 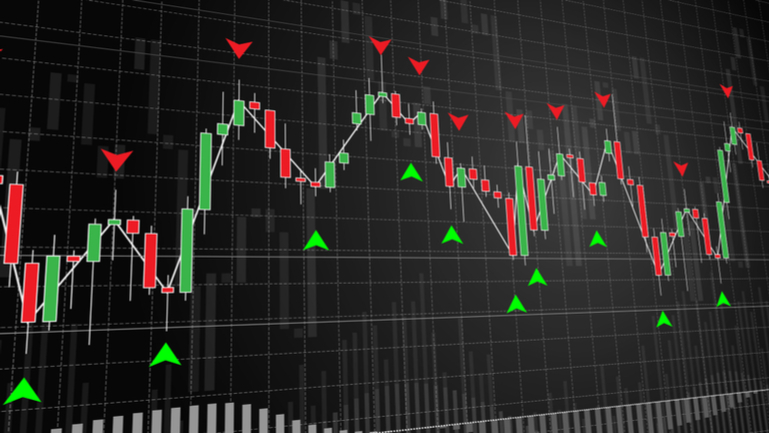 Logically, a long-term trader will use a different set of charts to an intra-day trader. Let's provide a summary for each trader type. The higher time frames are the most suitable for finding critical levels, which are strong enough to stop a trend or impulsive price action from continuing. These are the levels that traders must observe for potential reversals and use for targeting, but they must be careful when trading into these levels when the price is nearby. The middle time frames are more suitable for finding continuations or breakout spots for the trend, or tops & bottoms within a range. These levels are not as huge, strong, and important as the S&R levels of the higher time frame, and are best used for bounces at retracement levels, or with the trend breakouts. Lower time frames are even less stronger than the middle time frame ones, and are best used for trading breakouts only. Traders can trade breakouts that are both with and against the trend, or breakouts that are above or below ranges. Once the price breaks through a S&R level on the lower time frame, it could be used for a reversal setup if the larger analysis confirms that a larger reversal is possible or likely. What are the Best Tools for Support and Resistance? Every trader will have their own personal preferences for support and resistance tools. 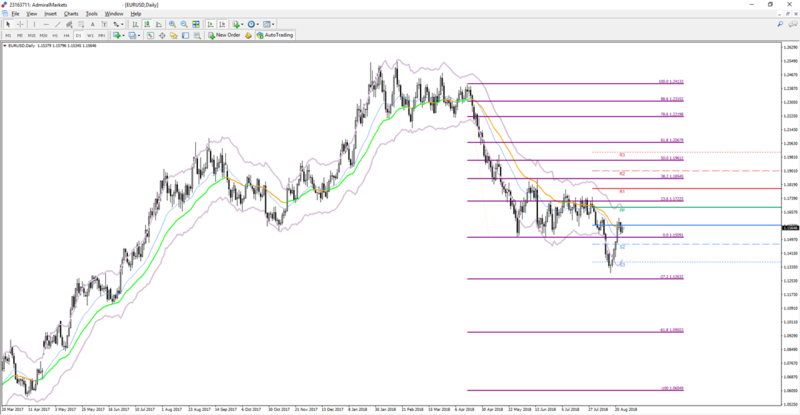 Some traders will only use Fibonacci levels, whereas others might use a mixture of moving averages and pivot points. Simply put, there is no right or wrong answer. The best method is to find the S&R tool or tools that work best for your trading psychology, and with your trading method and system. The preferences are highly individual, which is why testing the S&R levels of a few days and even weeks makes sense. Why? Because a S&R tool that might work well for one person, might also work well for you and vice versa. Testing and trying phase: open up and try out as many S&R tools and indicators as you want. There are no limits here, as you can playfully test and work with all the different S&R levels. There are many indicators available, so take your time to check them all out, and write down the ones that seem the most interesting to you. Research the chosen tools: once you have made a short-list of the tools and indicators that seem to be the most interesting to you, take time to understand them in more depth. Make sure to do some research so you know all the rules and ideas behind it. Make sure that you check all and any assumptions associated with them. Practice and test with the tool: once you have narrowed down the list to just a few, and you understand the S&R tools and indicators at a more advanced level , it's time for the next phase, which is to practice and test these S&R tools. Try to acquire a better feeling of and understanding for the methods that work well with those S&R levels. Make your final decision: choose the S&R tools that work best for your trading strategy, trading psychology, and your allowed time. Is the S&R tool fully understood? How do you use it? Is the role of the S&R tool clear? When do you use it? Are there times or exceptions when do you not use it? Is the tool used in conjunction with other tools? Every trader must find the best support and resistance tools, concepts, and indicators that help and boost their trading in the most effective way. This of course can vary strongly from one trader to the next. It is important therefore, to first test the various S&R tools and indicators, and then find the one(s) that match your style. There are three groups of tools: fixed S&R levels, dynamic S&R levels, and semi-dynamic S&R levels. Keep in mind that S&R levels are best used when they are applied with different strategic goals on three different time frames: the highest, the middle, and the lowest time frame charts. S&R levels are important for identifying bounce or reversal spots, measuring breakouts, trading breakouts, trading bounces, finding targets, avoiding weak setups just before S&R, and adding confluence to your analyses.